As I'd mentioned in a previous post, when we were over visiting my Mum last year, I filled a 4.5cuft box with fun bits and pieces from my childhood, including my Amiga 1200, Spectrum +3, and two 48k ZX Spectrums that aren't very happy. 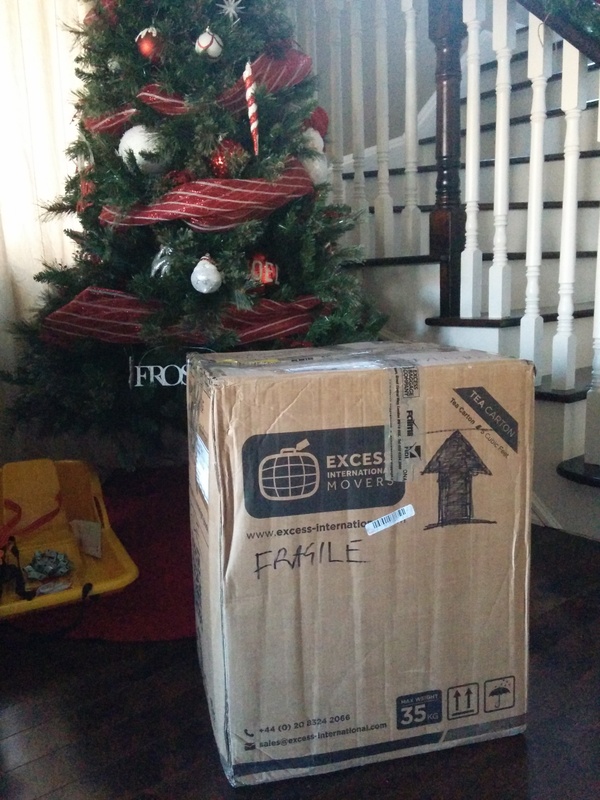 Well, the box arrived on Christmas Eve, just in time to go (almost) under the tree. At the time, I thought "Great! I can work on this over the Christmas break", except it didn't turn out to be much of a break, so all that happened was I unpacked the box, took some photos, made sure everything arrived in one piece, and moved everything into the basement. That's where it sat until the new year. I had thought the two 48k speccies would make a good Retrochallenge project, but I was too busy with other things to make any preparations, or to even make a submission. Well it turns out the +3 and the A1200 were a bit more interesting than I thought, and since I didn't start work on them until earlier this month, well, maybe they can be a Retrochallenge entry afterall. I'll put some more posts up soon showing better pictures of what was in my box of toys, and then documenting the work so far on my ZX Spectrum +3 and Amiga 1200 to get them both (mostly) working. There's still some more work to go, and as I progress, I'll try and document that as well.